Stepping into Teranga is like taking a cultural journey into Africa. Guests are greeted by the smell of home cooking and the rhythmic sounds of Malian harps and talking drums. Here, ancient customs and future trends coexist, and the intricacies of African culture blend seamlessly together over an Ethiopian-brewed coffee, or a bowl of Senegalese black eyed pea stew and a side of spicy Ghanaian plantains. 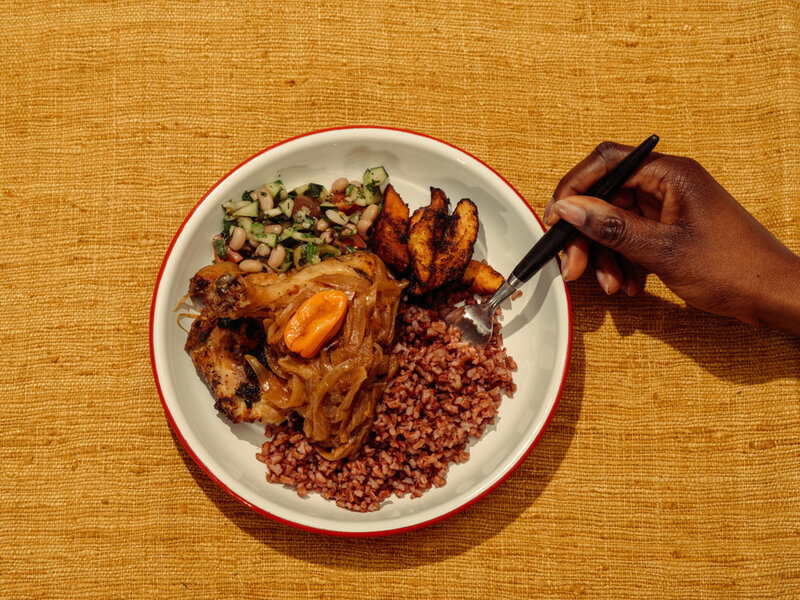 Inspired by our Co-Founder and Executive Chef Pierre Thiam’s mission to share African culture through food, Teranga reflects the depth, richness, and vibrancy of Africa’s diverse culinary traditions in a modern, fast casual setting. From the farm to your bowl, we thoughtfully source our ingredients in collaboration with smallholder organic farmers in Africa, and local organic producers in America. Here’s a preview of our menu. Plantain & Red Palm Fufu with Mafe Sauce. ‘Ndambe’ Sweet Potato & Black Eyed Peas Stew over Attieke. Grilled Chicken topped with Yassa Sauce over Liberian Red Rice. ‘Kelewele’ Spicy Plantains. Black Eyed Peas Salad. Roasted Salmon topped with Moroccan Charmoula over Jollof Fonio. ‘Kelewele’ Spicy Plantains. Black Eyed Peas Salad.